Autumn is my absolute favourite season for fashion. 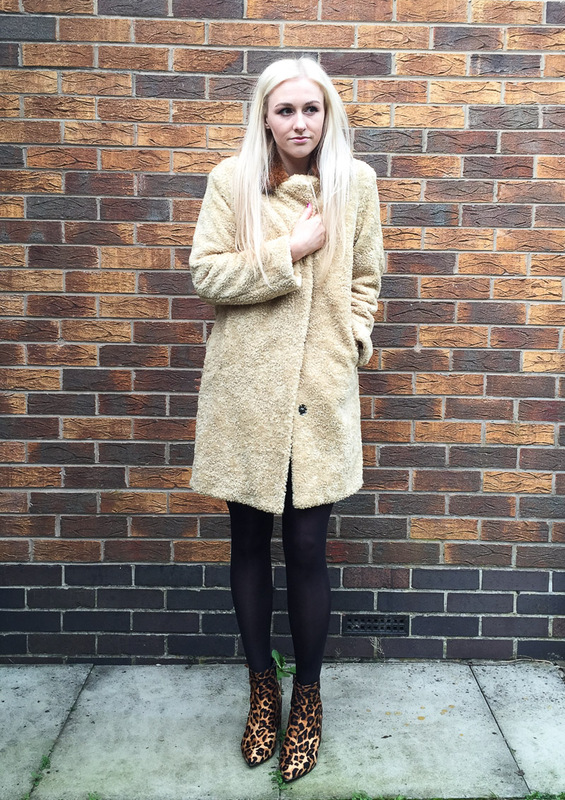 The (faux) fur, the comfy knitwear, the layering, the boots! The thing I look forward to most though is shopping for a new coat for the colder months. Unfortunately, I always want far too many and struggle to narrow it down and choose one. This year, however, I saw this scrumptious beauty back in late August and immediately knew I had to have it. Last week it was finally cold enough to whip it out and take it for a spin. Boy, am I in love. Now, I really struggle with the cold. For some reason, since getting ill my circulation has gone really bad and I’m always cold, my hands and feet especially. And when the cold weather hits it really affects me. So it’s important that I have a warm coat, preferably with big pockets to warm my hands in when I forget to wear gloves (all the time), and something that is still stylish and on trend. This Borg coat is perfect on all fronts for me and ticks all my boxes. 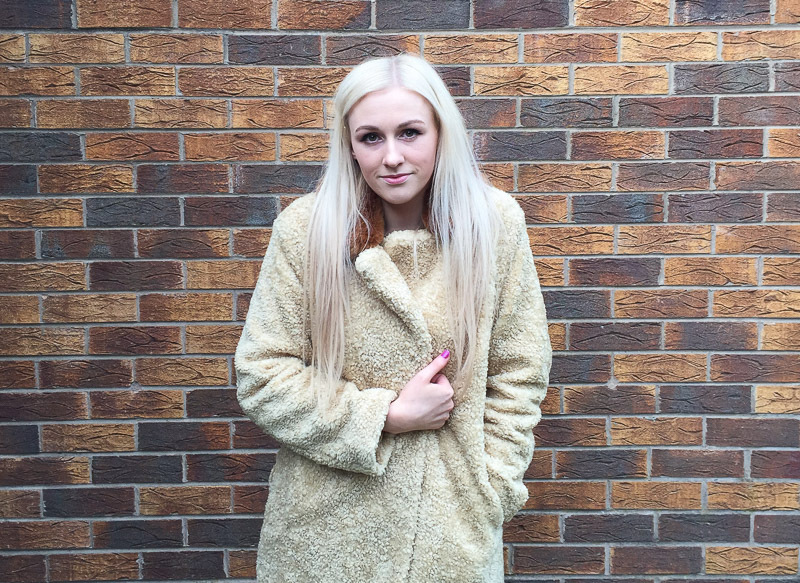 It’s so warm and comfy cosy, I refer to it as my teddy bear coat. It’s so snuggly even Angel has tried claiming it, twice now I’ve left the room with the coat on my bed and I’ve come back to find her curled up on it. She aint dumb, that’s for sure, she always finds the comfiest places to sleep. It’s oversized shape and neutral colour is right on trend for this season, which is full of oversized and comfy textured coats. Shearling and faux fur are the most common options, but this Borg material is a winner. To top it off it has a contrast faux fur collar which is just adorable. I love me some faux fur! 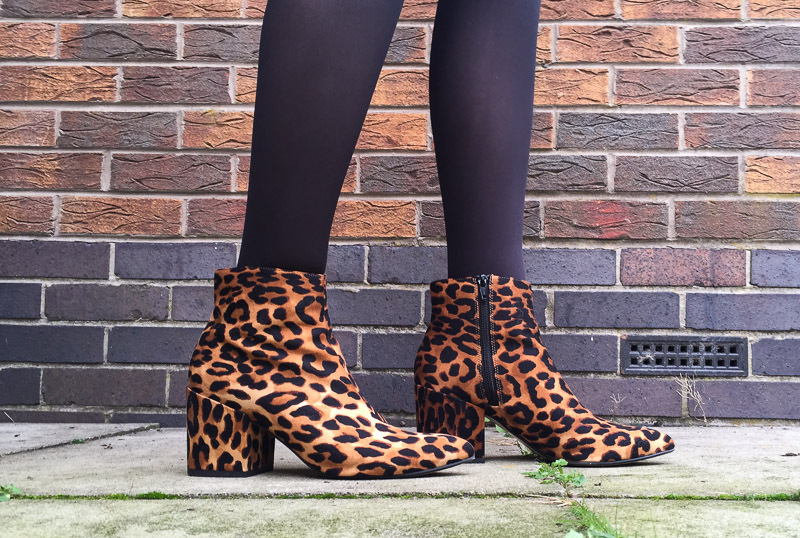 I also have to take a minute to talk about these leopard print ankle boots. I have a thing for boots (read, addiction). I have since I was very young. I don’t know what it is, I just love them. They’re always popular come this time of year, but this season regular old boots have had a major make over. Bold, statement boots are everywhere. There are so many amazing styles at the moment, I can’t even handle it. I’ve been naughty and bought quite a few new pairs in the last couple of months, but these babies are one of my favourites. I always love a bit of leopard print, especially for footwear. And the pointed style of these is super. I have to mention, that I actually really struggle with heels. After basically not being able to walk for years, I have lost my ability to walk in heels; I mean I have a hard enough time walking in flats. But recently I’ve been trying to start wearing them again and working hard to get used to them. I’ve had to start small though. These are about 3 inches, but the chunky heel makes them manageable for me, and I generally prefer a chunkier heel anyway. So, there you have it, my first outfit post. Apologies for the awkward posing! Have you bought a new coat for this season yet? i love this post :) the coat & boots are lovely. 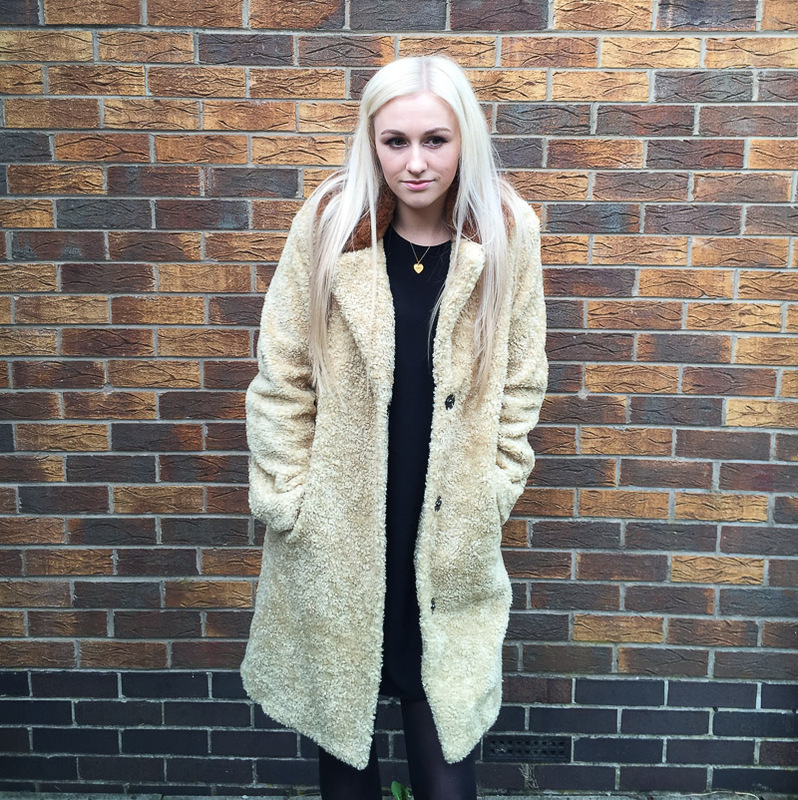 Im a bit of a coat/jacket addict so i think im going on the hunt for a new coat this week! I need these boots too !! !